The book of Genesis contains some of the most beautiful and well-known stories in the Bible: the garden, the flood, the tower of Babel, and the lives of the patriarchs. But these are more than just good stories. They lay the groundwork for God’s relationship with humanity and for his plan for our salvation, making Genesis foundational to understanding everything else that happens in the Bible. Genesis reveals much about human nature and the nature of God. From the actions of the first man and woman, we see where our rebellious, sinful nature originates. And through the whole book we see the hand of a sovereign God who is loving and merciful, but also just and holy. Time and again in Genesis, God showers his grace upon undeserving humanity, giving us our first tastes of God’s enduring faithfulness that shines throughout the entire Bible. 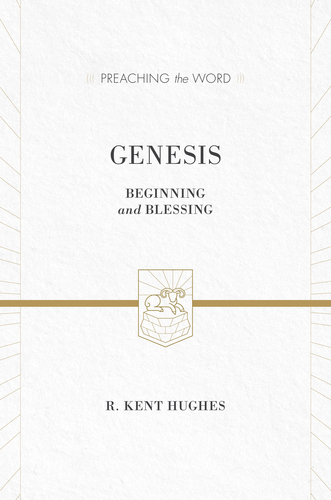 R. Kent Hughes, respected pastor and author of many other commentaries in this series, takes readers back to the beginning of the Bible and moves through Genesis with careful exegesis. He explores the superbly crafted structure of the book as well as the weighty themes it contains. For those who preach, teach, and study God’s Word, this exceptionally detailed work will reveal much about the beginnings of God’s great story.